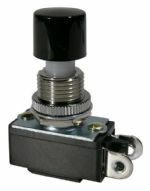 Miniature pushbutton switch with solder terminals. 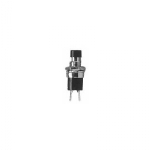 Hole mounting size: 7mm (0.275"). Rated 1A /125V AC, Black Cap. 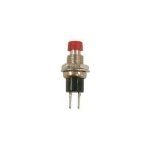 Miniature pushbutton switch with solder terminals. Hole mounting size: 7mm (0.275"). Rated 1A /125V A, Red Cap.